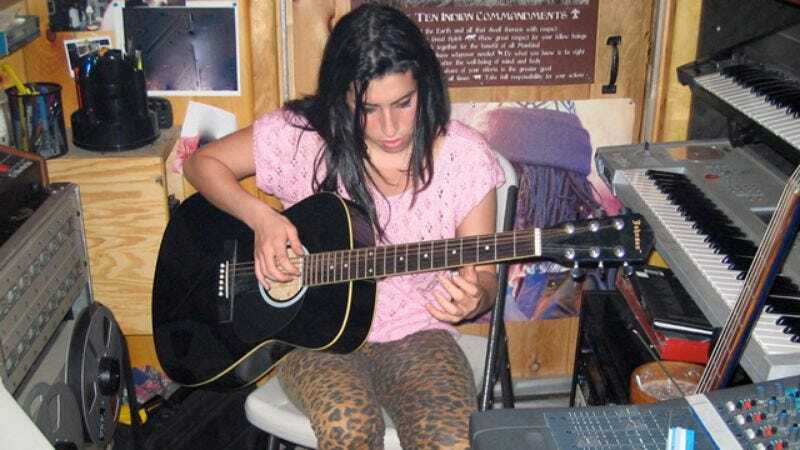 After giving audiences an in-depth look at the life and death of Formula One driver Ayrton Senna, director Asif Kapadia turned his focus to another talented figure who was gone too soon: Amy Winehouse. In Amy, Kapadia threads together archival footage and candid interviews to tell the tragic story of the young singer, from childhood, to stratospheric rise with the album Back To Black, to her highly-publicized death. Kyle Ryan’s review from earlier this year praised the engrossing film and noted, “In lesser hands, Amy could be a feature-length E! True Hollywood Story, but Kapadia treats his subject with respect and heart.” Amy hits shelves on December 1, but The A.V. Club and Lionsgate Home Entertainment have an opportunity for you to snag a copy of it on DVD for free. For your chance to win, simply send an email to avcontests@theonion.com with the subject line “Amy Winehouse.” Be sure to include your name and mailing address in the body of the email. U.S. entrants only. On Monday, November 30, we’ll selective five winners at random from our eligible entries and notify them via email shortly thereafter. Estimated retail value of Amy on DVD is $24.98. An official synopsis and trailer for the film can be found below.